On the evening of 20th June my phone (and watch, because I'm one of THOSE smartwatch people now. At least I'm not a glasshole) started buzzing. I was getting a torrent of follower after follower on Twitter. At first I thought it was just spam-bots as usual, but they didn't look like it and as the torade continued. I knew this was something else. I clicked onto some of the accounts and quickly found a tweet linking to my profile from an account with over 14,000 followers. That'll be what did it then. 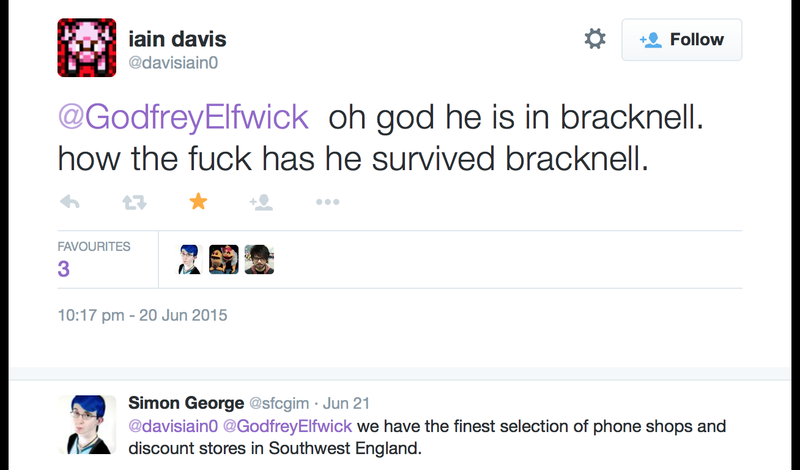 Introducing @GodfreyElfwick, self described "Genderqueer Muslim atheist. Born white in the #WrongSkin. Itinerant jongleur. Xir, Xirs Xirself. Filters life through the lens of minority issues." Xir is obviously some kind of parodytrollzilla. I will leave it up to you dear reader to decide how much of what he says he actually means, for you are an intelligent person with eyes and a brain, and your brain has a mind, and you are capable of making your own uninformed snap judgements about people. So now I have over 63 million new followers (I added in the million to make it sound more impressive, it's just 63), people faving, retweeting, mentioning me... my phone was buzzing non stop with notifications for an hour. They seemed to be mocking me, but not in a nasty way. What was it all about? My friends were just as confused as I was. Phew! 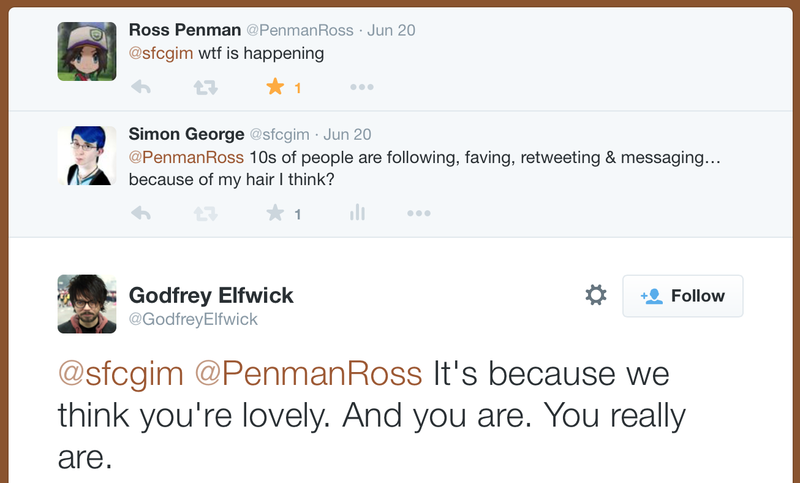 Others reassured me too. These leadership skills are going straight on my CV! 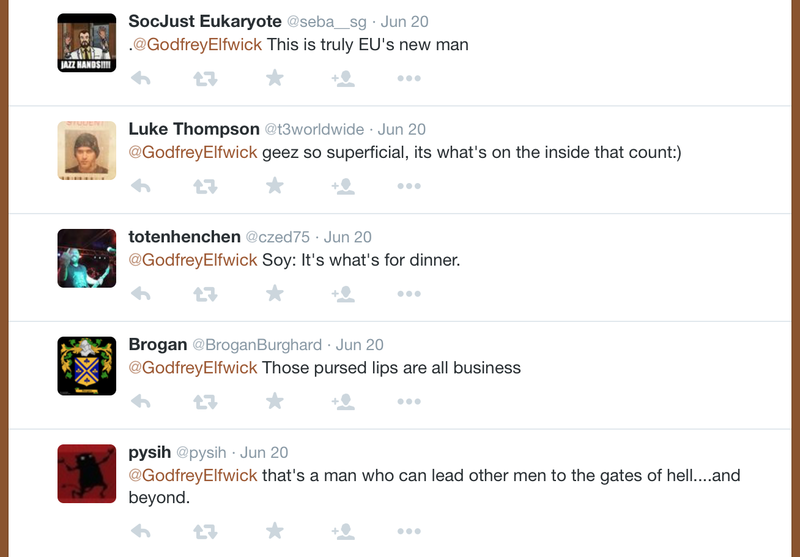 I was curious how this lovely bunch actually found me through the intertubes so I did some cyber digging. Cygging. 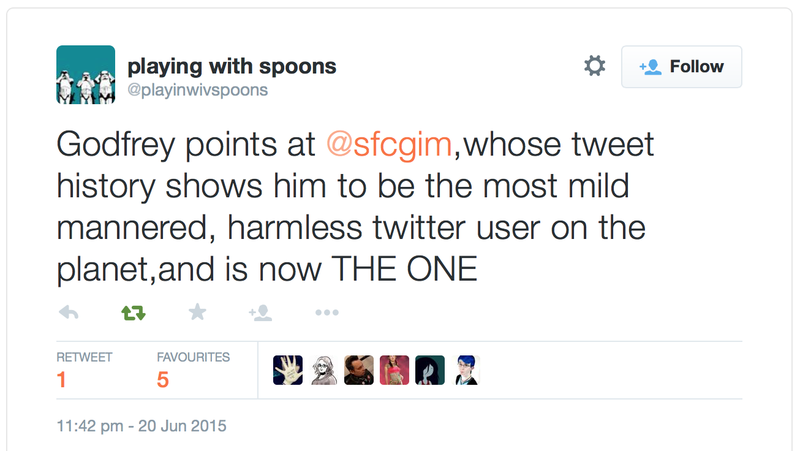 2:34 pm - 20 Jun 2015: Found it; @femigurl saw me talking about @nero. I knew that even without the @ sign someone would see. 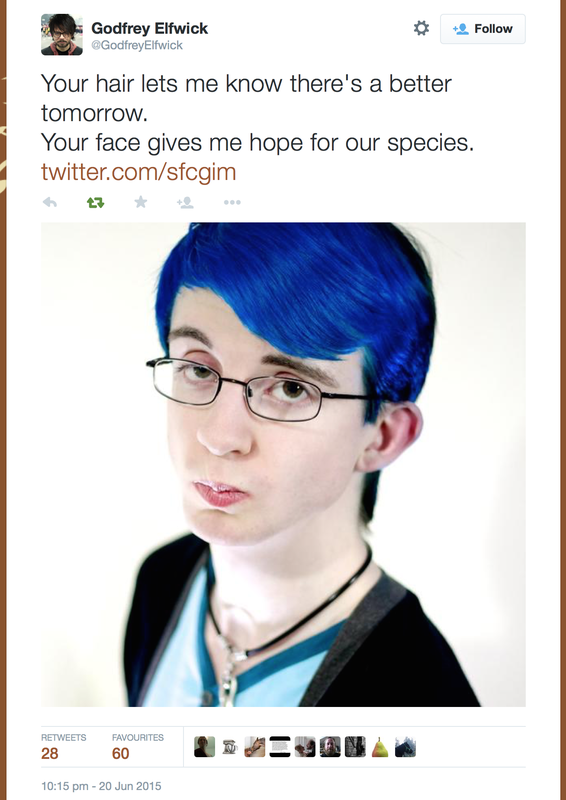 I'm sorry @nero, I will never doubt your omnipresence again. and they even apologised, sweet. 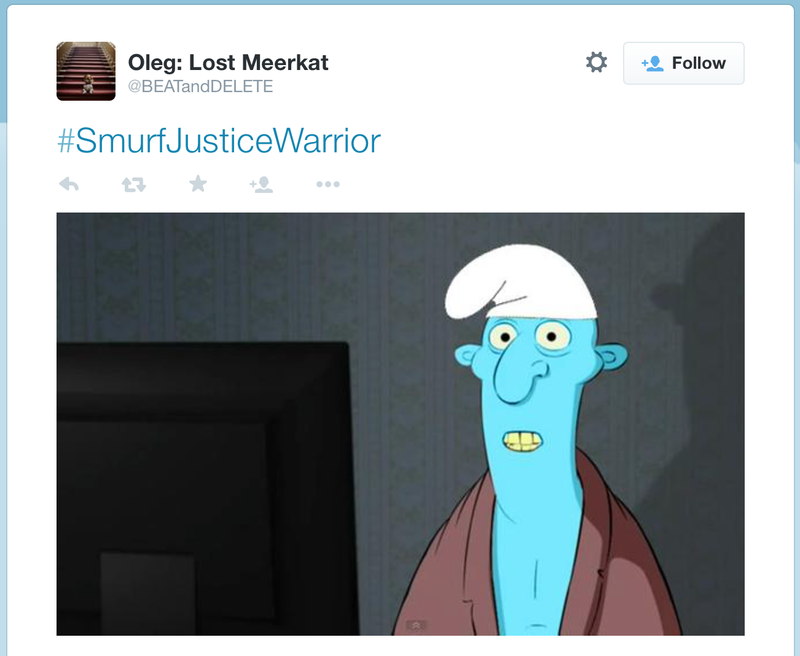 Scrolling through the timelines of some of these people I saw that #SmurfJusticeWarrior seems to be a thing. Smurfs are blue. My hair is... I'm seeing a connection. 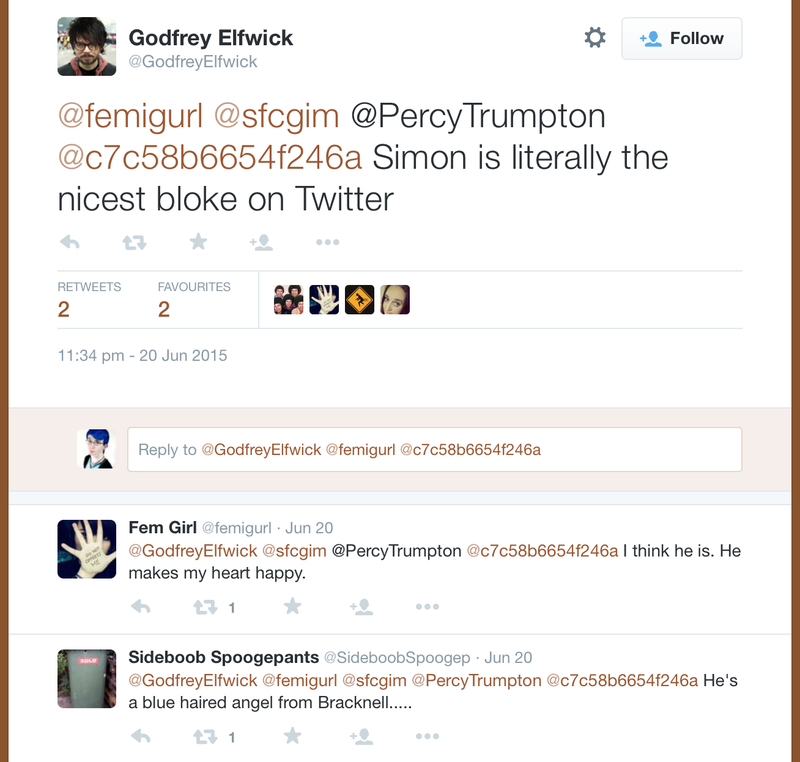 But Godfrey found my Facebook photo, which apparently proved I'm totally cereal. There was a worry about my location, but I reassured them. 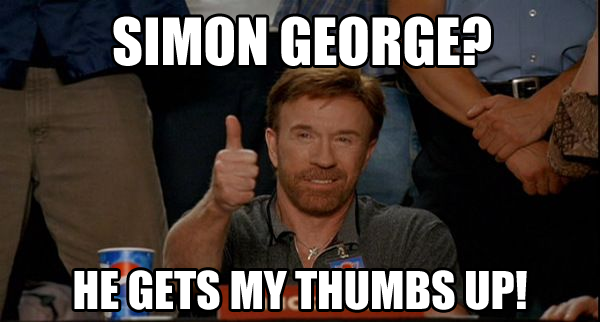 I even got memes made for me! 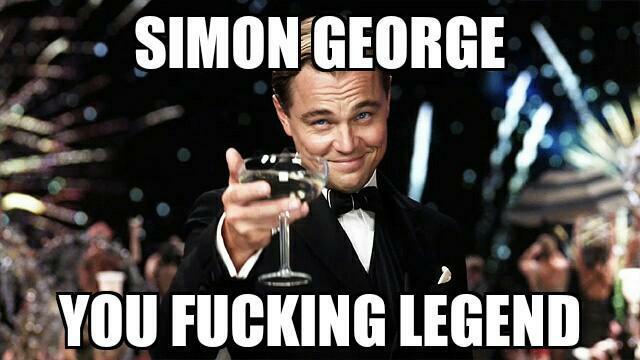 This is a true honour. DiCaprio? Yes please! This post seems to have taken the form of a BuzzFeed article. 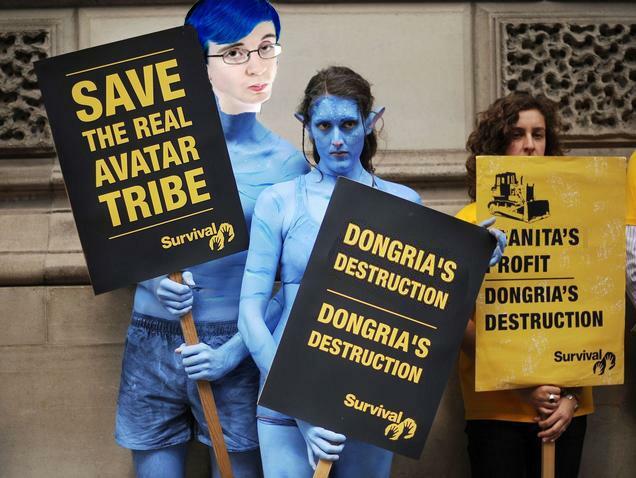 I'm so sorry, I am now both a smurf and a hack. I found this whole experience amusing, I feel kinda bad for not feeling bad as others have found trolling upsetting while I just found it funny. It all seems to have died down now, my 5 minutes of fame over. Amicitiae nostrae memoriam spero sempiternam yolo.